In the last week of my first school experience block I had a spare computing lesson with my year 6 class and free choice of activity. The class have a reasonably good level of computing and we have just finished a block of Espresso Coding so I wanted something that would challenge them a little but also be completely different so I decided we should have a go at Erase All Kittens. 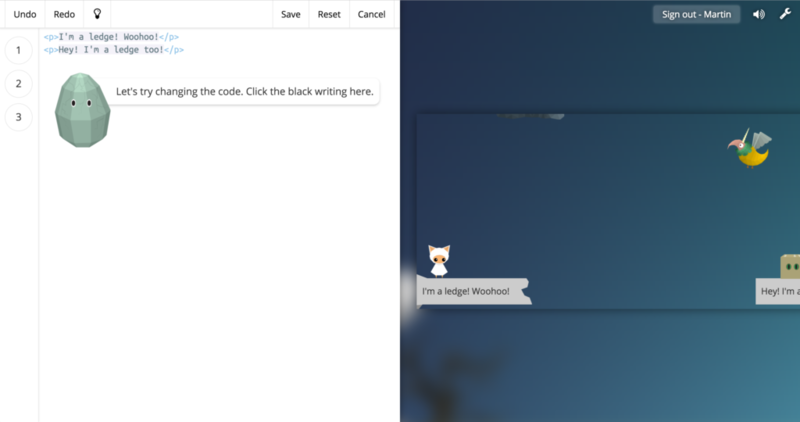 Erase All Kittens is a web based game which aims to help children 8+ learn to code. Players follow the story as Arca, trying to solve the mystery of where all the kitten gifs were disappearing to. 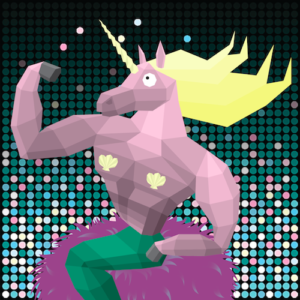 There is plenty of help along the way starting with a rock / oracle named Lao and their apprentice Ada, then later a unicorn-merman named “Tarquin Glitterquiff” comes into the fray. In order to progress through the platform-style gameplay players must solve various coding challenges, starting with editing some simple HTML. We did run into a few technical hitches which was a shame. These were all on older computers with machines still on Windows XP showing an SSL error and not loading the site at all. This I think should be a fairly simple thing to fix and as XP slowly dies over the next couple of years this will become less and less of an issue. On other slower computers we did have a few issues where collisions were missed so Arca fell through the floor or when the editor opened and the game got stuck. Are computers were older than most and we only lost a few but I can imagine a lot of schools having similar issues so I hope these things get addressed. It was also a slight shame that iPad play wasn’t supported as this would have made things a little easier and it should be perfectly achievable for them. Again, hopefully they will address this in the near future. Overall though, EAK was a huge success with a few pupils (all girls actually) reaching the end of the demo in a little over half an hour with no particular intervention from me. The feedback I had from pupils was great also with a notable vote of around 75% saying that if EAK had block coding in some form that they would prefer to use it instead of Scratch (which they love). EAK is a young product and it will be great to see it evolve over the next year or two and deliver on it’s mission to help children develop their coding skills.